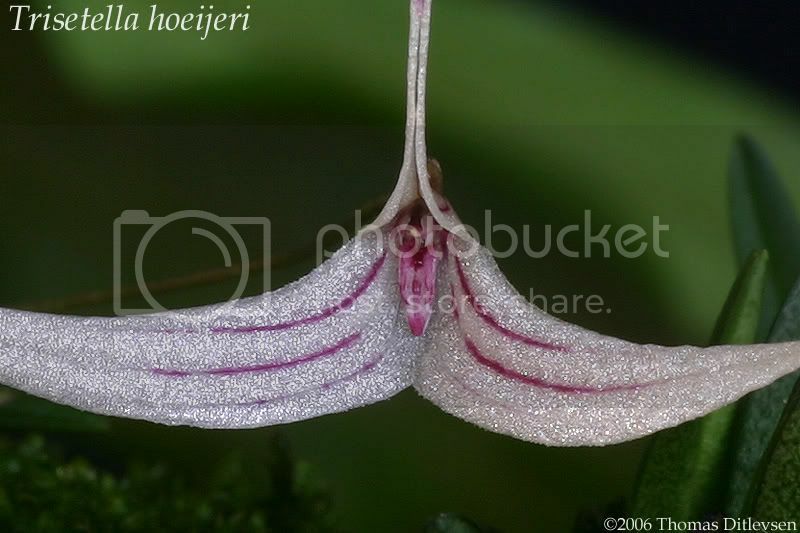 This is an absolutely stunning miniature species from Ecuador where it can be found at an altitude of around 1800m! This is a plant I’ve had for about three years. I grow it on the cool side of intermediate. It requires high humidity (at least 70%), moderate light and good air circulation. If mounted (like mine) daily watering is a must. I only use rain water. 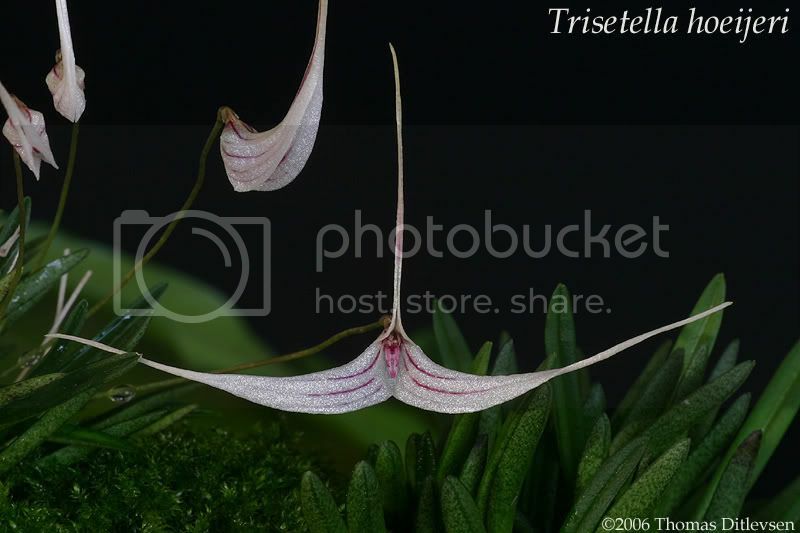 Trisetellas are light feeders and do well with ¼ - ½ of the recommended dose of fertilizer. 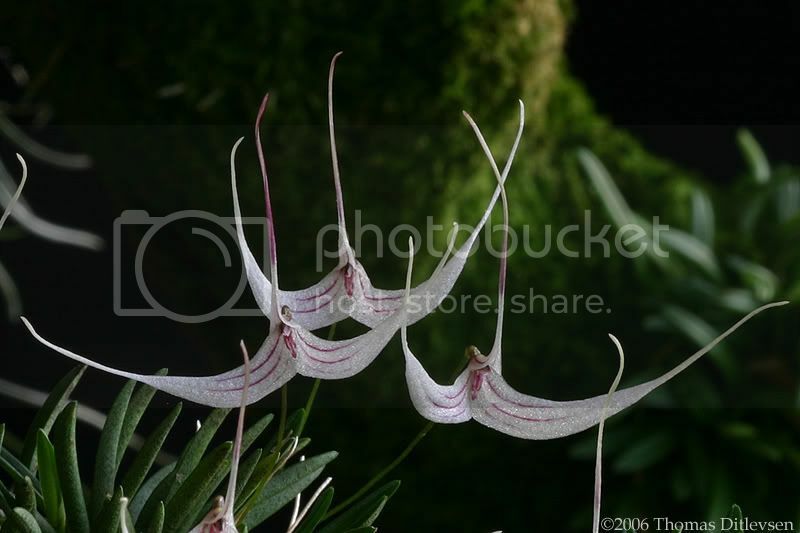 If you can grow Masdevallias and Draculas this is the plant for you! 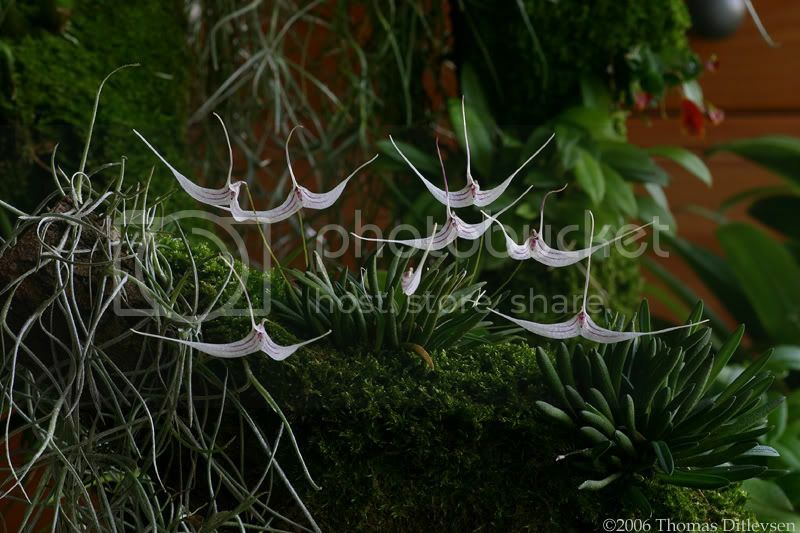 It can bloom four to five times a year and it has great flower size ("wingspan" 6cm) compared to plant size. 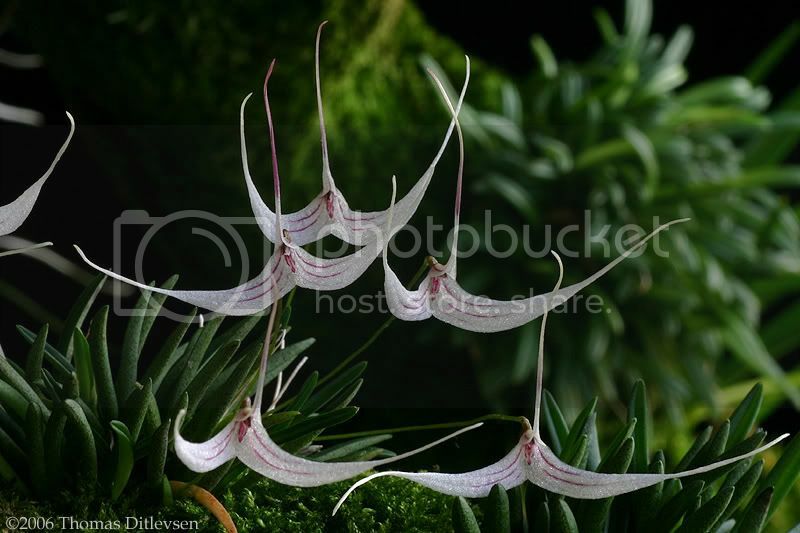 The succulent leaves are only around 3cm long and the overall plant size is only 7cm.